"Soft, neutral colored rug will suit a wide range of spaces." "This budget rug is naturally stain-resistant and fade-resistant." "An upscale floor mat that gets rave reviews about functionality." "The machine-made fiber is exceptionally durable and can be hosed down." "Coated with a high-grade vinyl compound to provide gripping power." "This set of two rugs has a beautiful design and non-slip backing." "Soft enough to play on but sturdy enough to hold up to moderate foot traffic." "This doormat is heavy-duty so it doesn’t slip and slide." When you’re searching for a great rug, look for three things: aesthetic, quality, and texture. Your rug should obviously look great in the space, but it should also be comfortable underfoot and sturdy (you don’t want a rug that will shed or unravel at the seams). Reviewers say this area rug satisfies all three requirements. The design is a nice mix of contemporary and traditional, and it's muted enough to suit a wide range of spaces. The rug also has a soft, but low-profile (a .4-inch pile to be exact) that looks sleek and is easy to keep clean. Even though this is made with synthetic fibers (polypropylene and polyester), a refined power loom construction makes it more durable than you might expect. Would you believe you can get a great, quality area rug for less than the price of an entree at some upscale restaurants? It’s true! This budget area rug is made of 100 percent polypropylene, which lends supreme durability. Because it’s naturally stain-resistant and fade-resistant, it’s a great pick for anyone with kids or pets. It’s also quite comfortable, and, though it’s an easy-to-clean low-profile rug, it provides plenty of cushion for your feet and works to minimize sound between floors. This attractive area rug also comes in a variety of colors—from beige to burgundy—to suit the aesthetic of any space, whether a bedroom or a living room. There’s no shortage of sizes either. Choose from 14 different dimensions, the biggest of which is 9' x 12'. A rug can be a great addition to a kitchen, but let’s face it: a regular rug just isn’t that practical in a space so prone to crumbs and spills. Instead, the safer choice is a kitchen floor mat—a cushioned and non-absorbent rug. Luckily you don’t have to entirely sacrifice aesthetic these days. This thick cushion, which comes in a variety of colors, has beveled edges and a leather grain that looks a little more upscale than some of the other choices. Plus, it gets rave reviews about functionality. Satisfied customers say the ¾-inch light duty foam makes a big difference when standing for long periods of time. When it comes to your outdoor decor, durability should be top of mind. An outdoor rug will have to stand up to the elements (sun, wind, and rain) and is more prone to staining. When decorating your outdoor space, choose a rug manufactured specifically for outdoor use. Outdoor rugs are not only stain, fade, and weather resistant, but they can also stand up to heavier foot traffic. This particular rug is popular because it is both functional and attractive. The machine-made polypropylene makes is exceptionally durable and easy to care for. Simply hose the rug down to clean. And, while attractive, the bright pattern serves a second purpose: it helps mask any small stains that may occur as a result of long-term outdoor use. Once you've selected the perfect rug, the next thing that you should purchase is a good rug pad. No matter how great your rug is, a rug pad is a necessary investment. Though there’s nothing exciting about shopping for an item that will never even see the light of day, a rug pad makes your rug safer and protects it from premature wear and tear. Worth it, right? Nearly 13,000 reviewers give this rug pad an average rating of 4.5 out of five stars, making it the bestselling rug pad on Overstock. It’s a customer favorite because it’s made with polyester fabric that’s coated with a high-grade vinyl compound to provide superior gripping power. Still, it’s low profile design ensures it won’t change the texture or feel of the area rug you so carefully selected. As an added bonus it’s super easy to wash. Just use warm soapy water to extend the usable lifespan. A bathroom rug has a big task at hand: bathrooms are highly-trafficked areas that are frequently exposed to both dirt and moisture. Bathroom rugs also need to be dependable—you count on your bathroom rug to prevent slipping while getting in and out of the shower or tub. Still, aesthetic is important. If not chosen carefully, bath rugs have a tendency to look cheap. This set of two rugs has a beautiful design that looks like something you’d find in an upscale hotel and is constructed with a non-slip latex backing to stay in place for safety. Plus, it comes in four attractive neutral shades to match your decor. Though aesthetic is always a big consideration when outfitting a room with an area rug, comfort and quality are especially important when it comes to choosing a rug for a child’s room or a play area. Kids, especially infants and toddlers, spend a lot of time playing on the floor. And, frankly, they tend to be pretty messy. Though decidedly attractive, this area rug, constructed of latex-free wool and viscose, is manufactured to be soft enough to play on but sturdy enough to hold up to moderate foot traffic. And thanks to its low profile, it’s easy to clean and vacuum. If you don't have one already, you might want to invest in a good vacuum cleaner or carpet cleaner to take care of those inevitable spills and stains. A doormat must be both durable and effective at keeping moisture, dirt, and other debris where it should be—outside your home. If you've been scouring the internet for a functional and attractive doormat, we like the DirtOff Loop Carpet Natural Rubber Door Mat. This doormat is heavy-duty so it doesn’t slip and slide, and its textured surface will trap dirt and debris. Plus, its low profile ensures that it won’t get caught between the door and the floor. Though this particular doormat doesn’t feature a fun phrase or design, it has a versatile design and it's functional. The sophisticated zig-zag design is effective at wiping and scraping dirt off of shoes and the rubber backing won’t slip and slide in wet conditions. Our writers spent 3 hours researching the most popular Overstock rugs on the market. 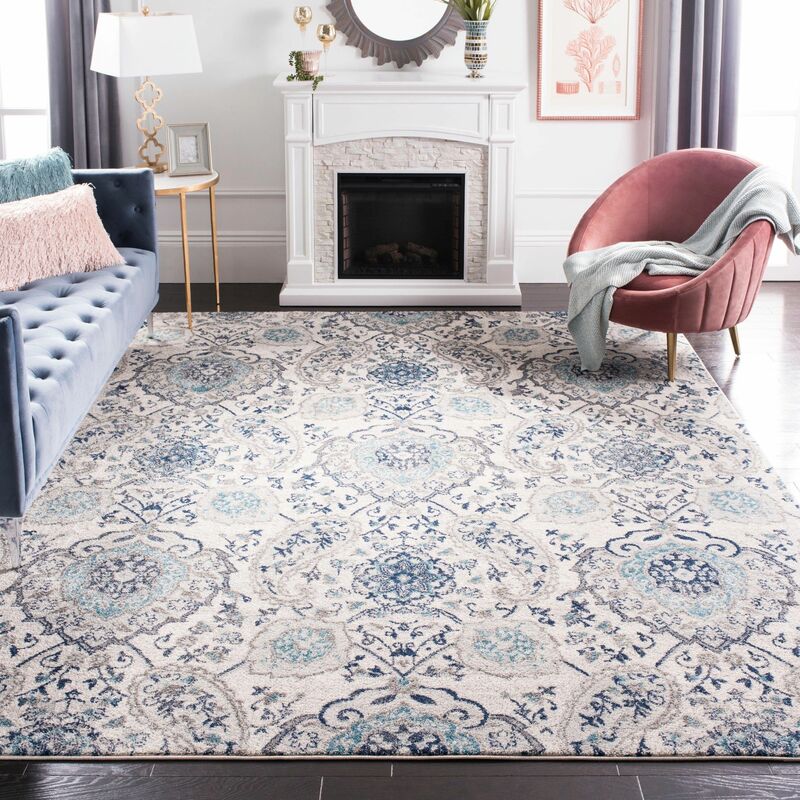 Before making their final recommendations, they considered 35 different rugs overall, screened options from 7 different brands and manufacturers and read over 60 user reviews (both positive and negative). All of this research adds up to recommendations you can trust.